These are laser-cut from black mirror stainless steel, our ONYX series, and UV-Rated plastics. The emblems have a flat black base and the black mirror stainless parts are bonded to the base with 3M double-sided automotive tape. 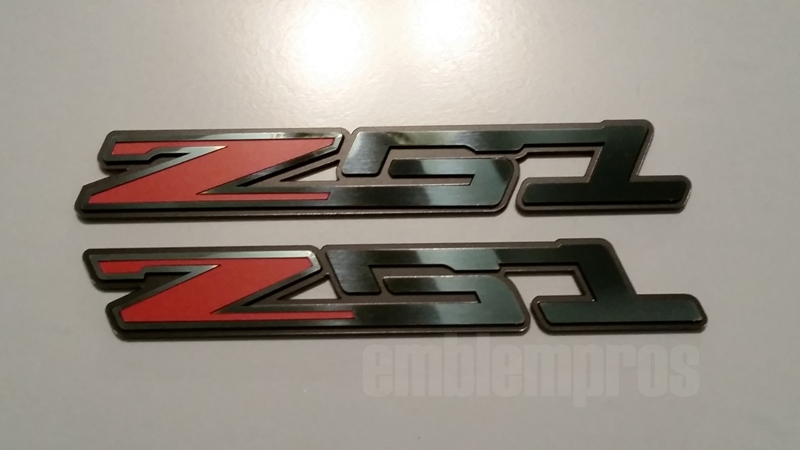 We also give you the choice of selecting your own color for the "Z" fills.